Being accepted into and getting ready for college are some of the most exciting times in a person’s life. Unfortunately, the cost of attaining a higher education can dampen those good feelings. However, there are several options available to Arkansas students to ease that sting. These include grants, scholarships and work study programs. Even when these avenues are exhausted, many families find they can still not meet all of their educational expenses. It is then time to consider loans. Make sure you have checked all of your options before pursuing loans, and be careful to review your choices closely. Be confident that you know what your signing up for – remember, loans must be repaid. 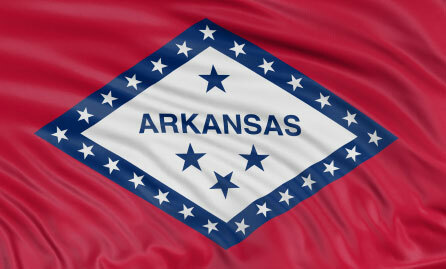 The Arkansas Student Loan Authority (ASLA) is a non-profit loan agency contracted by the State of Arkansas. It was established to help facilitate the Federal Family Education Loan Program (FFLEP) as well as provide state students with attractive borrower tools and incentives. In 2010, the FFLEP was replaced by the Direct Loan Program (DLP), which is run directly through the federal government. ASLA still helps guide students and parents through the DLP, and offers many additional services. These include preparation for college with counselor services, help with life after high school, and financial aid assistance – including information on the Woodruff Scholarship. Additional help for the borrower, like a handy toolkit and repayment options are also offered. Borrowers must first apply for Stafford Loans by completing the FAFSA. These are the single most disbursed federal loans and almost every student borrower qualifies for some level of federal aid. Stafford loans are not credit-based. Parents and Grad students interested in the Arkansas PLUS Loans, are however, required to submit to a credit check. If you are a borrower with less than ideal credit, even bad credit, plan in advance to simply borrow with a willing and creditworthy co-signer. Traditionally co-borrowers are a parent, another relative or trusted friend. Whoever you choose, make sure they have decent credit and an acceptable debt-to-income ratio. This ratio relates to their income in contrast to the amount of debt they already carry. It does not have anything to do with their payments, but is an indicator of how financially strapped they are. If you are able to apply on your own, you will also be required to prove that you earn an income. Besides the typical menu of DLP loans, ASLA also manages the Arkansas EdLoan program, a loan incentive program aimed at special professions, like teachers and nurses. Like many other states, Arkansas suffers from shortages of health care professionals, teachers and law enforcement personnel. EdLoan attempts to boost the numbers of these professionals who remain working and living in the state. The program basically offers students pursuing these fields a very low-interest student loan that may be waived if borrowers stay in Arkansas after graduation and work in areas of critical need. NOTE: The EdLoan program is occasionally unavailable due to budgetary constraints and credit market conditions. For many people, the amounts offered through the DLP still don’t fill all the costs incurred. Another option is alternative, or private loans. These are not controlled by the government in anyway, so be very careful when shopping for these type of loans. Interest rates will vary, and most like will be APRs rather than fixed. Their are likely to be additional fees, and less flexible repayment options. Repayment may even begin as soon as the loan is issued. The DLP is able to negotiate terms of repayment for students that allow for affordable and manageable payments. Borrowers may choose from plans that allow students to reduce the life of payment plans by starting minimal payments while still in school, or to defer them until after graduation on a manageable plan. The DLP also offers consolidation loans for easier loan repayment.